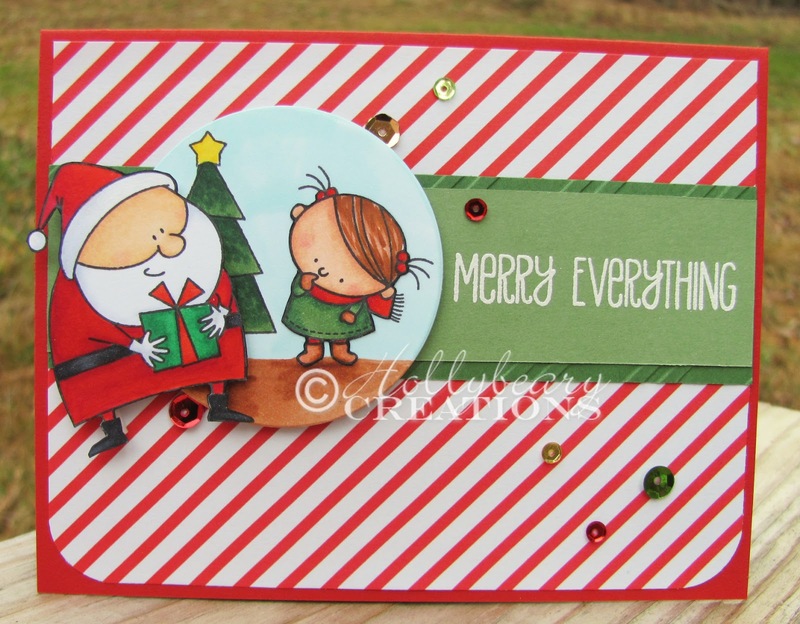 Hollybeary Creations : MFT Card Sketch & A little MarkerPop! 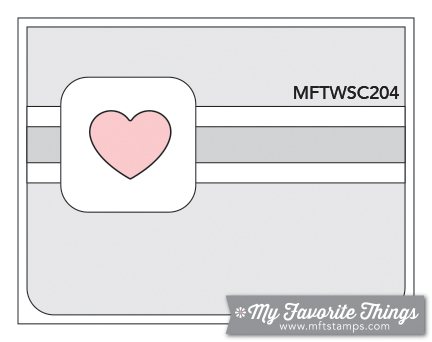 MFT Card Sketch & A little MarkerPop! Wow can you believe it's December 1st already? This year flew by... but that's ok because I'm so ready for 2015!! Today I have a project that's been in stages on my desk since last week I'm playing along with the current sketch from My favorite Things & The Christmas/Holiday Challenge at MarkerPop.. only fitting since I purchase all my Copics there! This Jingle all the way set has to be the cutest thing ever!!! And I'm having so much fun coloring with my Copics. Practice makes perfect! I tried a dot technique on the trees and I was pretty impressed with how it came out. 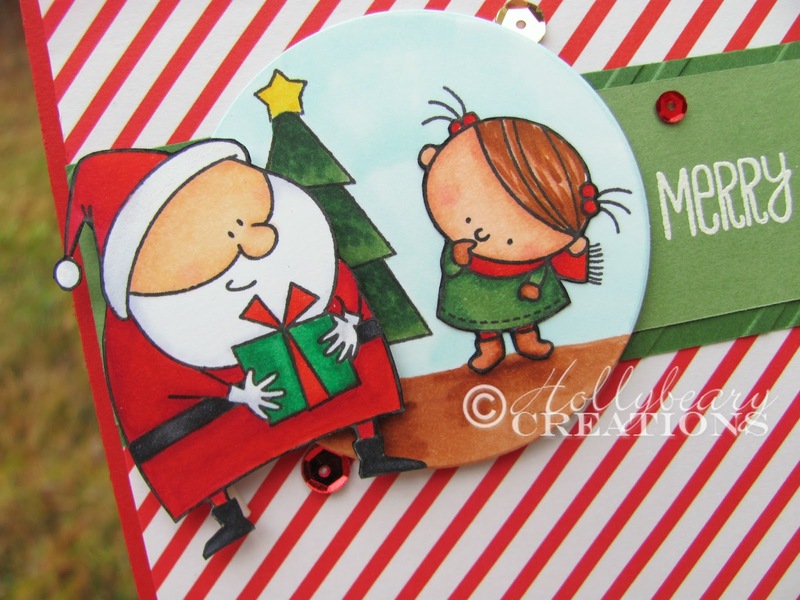 I stamped the girl and Santa onto some Neenah Solar White with MFT Hybrid ink and then colored them in and cut them out. I die cut a circle from some more white and stamped the tree & girl again. Colored the tree in and created the background. Then I paper pieced the little girl. I added the Santa with some dimensionals. I created a red card base.. I think this is a piece of Simon Says Stamp Lipstick Red, it came in a card kit so I'm guessing..lol It matched the pattern paper which is just some stuff from Michael's. Then I added a panel of Garden Green that I embossed with the Diagonal stripes folder and then a layer of Wild Wasabi which I embossed the sentiment onto in White. I added some more dimensionals to the circle piece and attached it over the strip of green and finished it off with some Pretty Pink Posh Classic Christmas sequins. Sooooo Cuteeee!!! Thanks for stopping by today! 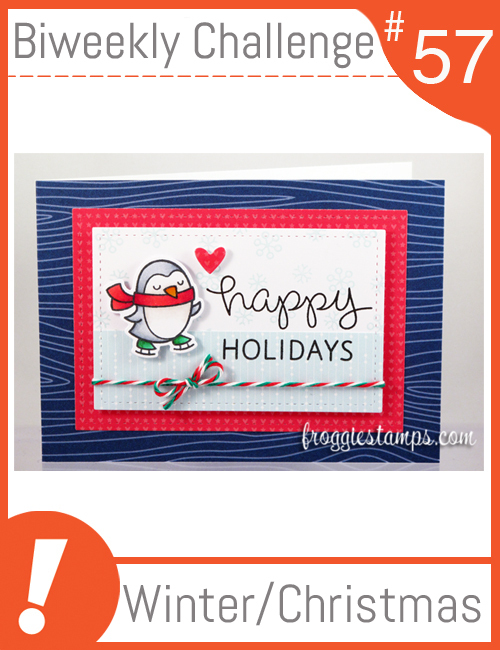 Awesomely adorable card. Love your coloring.